Due to the constant need for your feet, legs, body to adapt to the terrain on trail routes you will improve your stability and build on your core ability. Typically when running on trails you will naturally take shorter strides thus increasing your cadence which can in turn help improve your technique. Your body will also benefit from the softer terrain (think no more hard concrete) which can help prevent niggles and injuries when compared to pounding the pavements. If like us you like new challenges, then the chances are you to like to explore new things. Trail running opens up a whole new set of routes and areas to explore in your local area. Whether this be routes through the park, trails by canals, or if you are lucky to live in the countryside the public footpaths and bridleways that criss cross the fields. With trail running you get to explore and find new routes and shortcuts that you may never have found previously. It can be difficult to fit your running in with family whether this be your partner or kids, and sometimes it is hard not to feel a little guilty when you leave them inside and hit the gym or the roads. With trail running take you can take them with you, whether they stay at the play park, or they jump on a bike and ride alongside you, or go for a walk and you loop back and catch them up, running on the trails opens up so many more options to keep everyone involved. 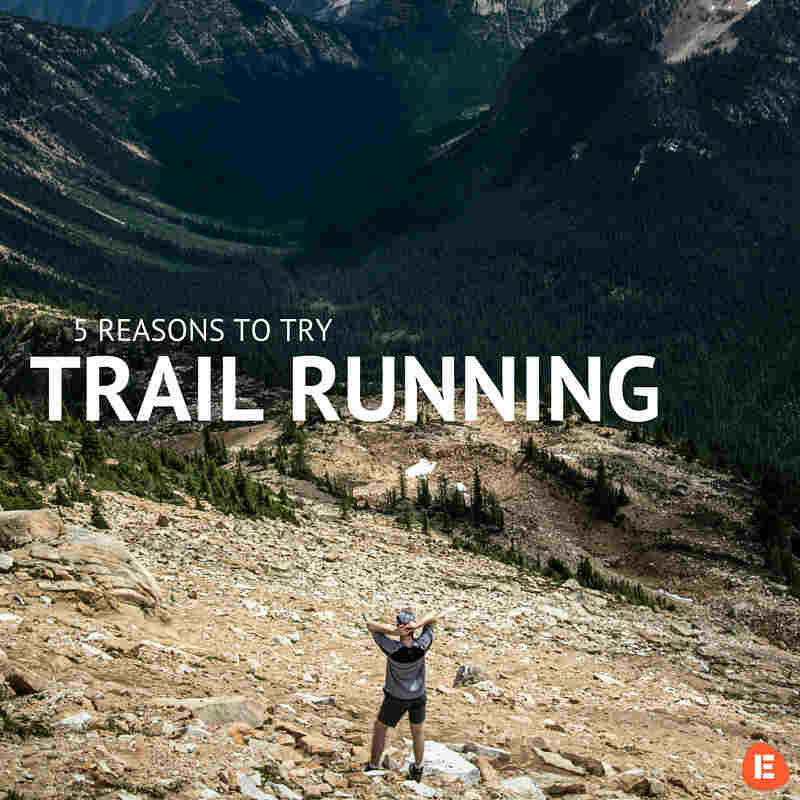 I find many of my running friends love their trail runs as there is less pressure on these runs. Runners can have a bit of geeky tendency to focus on numbers, timings, splits, speed, pace (the list goes on), but often when on the trails it is about getting out there and running depending on how you feel, maybe even stopping to take a picture of the beautiful scenery or the cheeky rabbit before getting on your way again. Whilst I agree training plans are important sometimes it is good to go out and run with no watch, no earphones to block out the traffic and just enjoy running for what it is! If you have been thinking out trail running I hope this gives you a few more reasons to go and try some new routes. It could form part of a new running challenge you want to achieve…. And my one final reason for trying a little trail running is it can give you a good reason to buy some new trail trainers! Not that us runners ever usually need a new reason to buy new running shoes! Let us know how you get on, and maybe you will find your own reasons for giving those trails a go. You can reach Rachel on either her Twitter or Instagram account if you have any questions!